Check out the trailer for Signe Baumane’s first feature expiring mental illness through the stories of five women in her family – ‘a funny film about depression’. Well, what you might expect from a US 1953 public information film about nuclear power and weaponry: simplified science and a rather narrow political view! This came from Public Domain Motion Pictures on Youtube, a ‘free channel devoted to Public Domain, Open Source and Copyleft movies, TV shows and serials’. 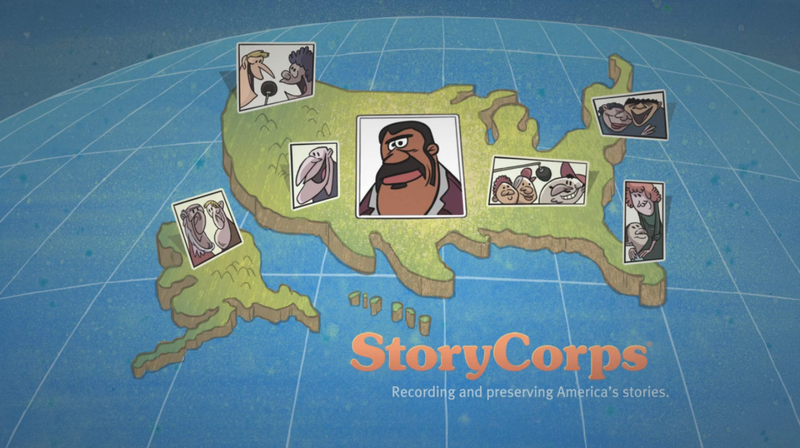 StoryCorps is a US independent non-profit oral history project, charged with the task of recording, sharing and preserving personal stories of American lives. 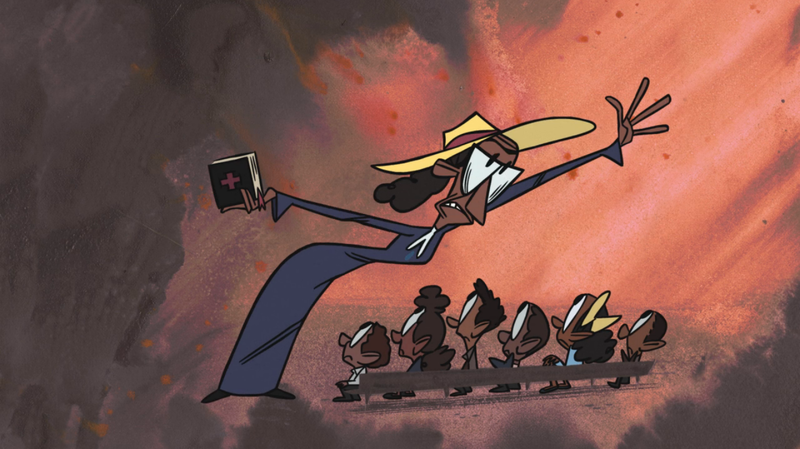 Many of the thousands of stories are broadcast weekly on National Public Radio’s ‘Morning Edition’ while a handful have been adapted into short animated documentaries. The Rauch Brothers co-directed all fifteen of the shorts. The series demonstrates a strong influence from the school of American cartoons; Tim Rauch’s distinctly caricatured personalities inhabit beautifully constructed backgrounds designed by Bill Wray. The off-kilter geometry of the architecture and pastel colour palette is reminiscent of the 1960s-era ‘Pink Panther Show’, while the thick outlined digital character animation has a stronger connection to contemporary Nickelodeon and Cartoon Network kids animations. 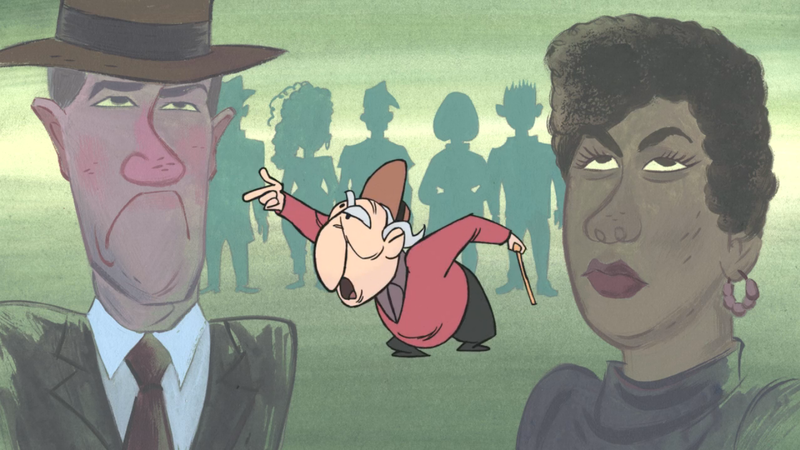 Many of the StoryCorps recordings selected for animation deal with themes of mortality. 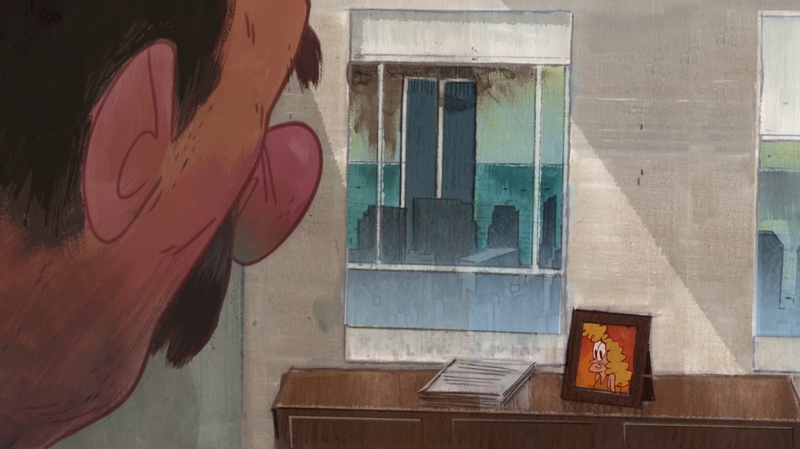 ‘John and Joe’, ‘Always a Family’ and ‘She Was the One’ commemorate individuals lost in the 9/11 attacks on the World Trade Center, where family members recall their last conversations with loved ones. Meanwhile ‘Danny and Annie’, ‘Germans in the Woods’, ‘A Family Man’ and ‘No More Questions!’ deal with natural deaths. In some instances recordings were made with an elderly family member not long before their passing. Every reference to mortality is a celebration of that individual’s life, highlighting their idiosyncrasies and honouring memories of them. 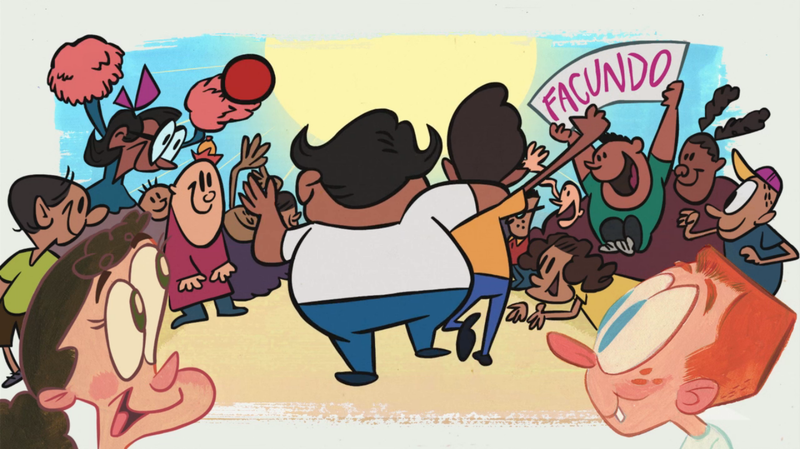 Films like ‘Eyes on the Stars’, ‘Facundo the Great’ and ‘Icing on the Cake’ refer to the experiences of racial minorities, including stories of inequality and immigration. They are however told with a stereotypical American optimism and sentimentality. The people involved look back from improved circumstances, mocking the absurdity of racism or displaying awe and wonder for the struggles of their parents’ generation. Eccentric personalities seems to be another theme which pops up in these films. ‘Sundays at Rocco’s’, ‘Q&A’, ‘The Human Voice’, ‘No More Questions!’ and ‘Miss Devine’ all feature domineering or uncongenial characters. These stories celebrate diversity and highlight the importance of individuality. While many of the animations make reference to romantic or family love, ‘To RP Salazar, with Love’ concerns an extraordinary circumstance that leads to a digital age fairytale ending. Occasionally the animation is noticeably clunky, in particular lip-synching feels a little rough. However the character designs are marvellous. The Rauch Brothers have sensitively depicted a variety of ethnic groups without leaning on illustrative clichés. Family members are designed with an appropriate level of genetic resemblance while managing to avoid looking identical and the exaggerated use of body language and posture helps bring the individuality of each character to life. 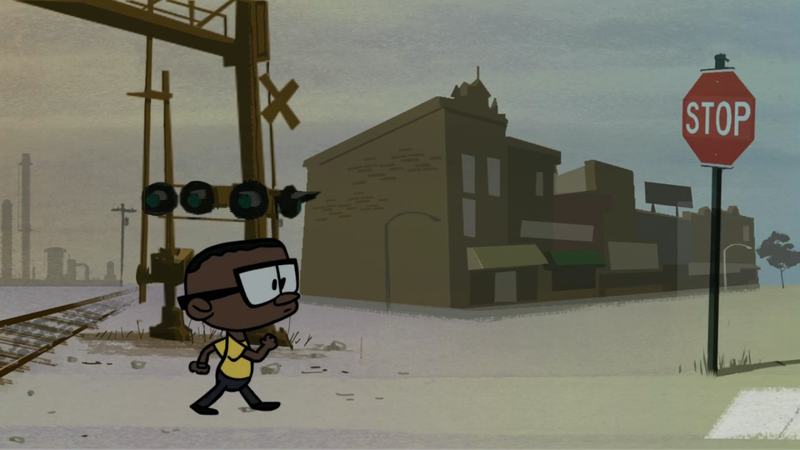 The StoryCorps project has now been running for ten years. An archive of the recordings is being collected at the American Folklife Centre at the Library of Congress. Although we couldn’t embed all the ‘StoryCorps Animated Shorts’ here, I recommend taking time to flick through them on the StoryCorp website. Recently screened as part of the animadoc programme at the Tricky Women festival, Vienna, here’s a compilation of short episodes from a series made for Australian broadcaster SBS. In each episode a possession passed down the generations recalls memories and family histories, often of migration and war. Lies – Part 1 – Directed by Jonas Odell from FilmTecknarna on Vimeo. If you like ‘Never Like the First Time’ you may enjoy this, the first of three first person narratives, from a film which won at Sundance 2009.
Review from Short of the Week here.